Sorry for the delay since my last blog. Thankfully January has been a busy month and has kept us on our toes. Finally the weather has improved and the snow is all gone. However despite the milder days, night time temperatures can still be a little low. For anyone getting crops into the ground, it may be worth giving them a little protection from the colder nights. One solution to this problem is crop protection fleece. What is crop protection fleece you may ask? Crop protection fleece has been developed to create a microclimate ideal for plants and seedlings that will help protect early crops and other delicate plants from cold weather, frost, and insect pests. Available in rolls of various widths, fleece is laid out across the sown seedbed or young growing plants. It admits light, air and rain but creates a contained climate around the developing plants, allowing them to grow faster than unprotected crops. For tall plants grown in rows or blocks, heavy-duty fleece can be used to create cloches. The fleece is normally fastened onto steel hoops erected over the crop and buried in trench to secure the fleece in place. When used as winter protection the fleece is wrapped around, or fastened over, delicate plants, to protect them from frost and scorching by cold winds. You can purchase fleece as most garden centres, and even some hardware stores. 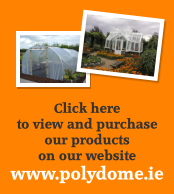 You will also find a its on the polydome website. Extending the growing season for vegetables by allowing earlier sowings in spring and later cropping in autumn. Protection from pests such as pigeons, rabbits, carrot fly etc.